In a weekly post, we'll take a look around the AL West — what's happened so far, and what's on tap in the coming days. 1. Houston Astros (14-7) — Look, we figured the Astros would be better this year, but no one expected this. The former AL West laughing stock is now 9-1 in its last 10 games and has won six straight with sweeps of the Angels and Padres. Pitcher Dallas Keuchel is arguably the best starter in the league, just check — numbers don't lie. Next up: Today, 7:10 p.m., vs. Seattle Mariners. 2. Los Angeles Angels (10-11) — After the first-place Astros (still feels weird typing that) there is a pretty big dropoff early in the season, and it starts right here. The Angels have the game's best player in Mike Trout, and he's doing his Mike Trout things this year, but the pitching has been a bit of a crapshoot early in the season despite the return of Garrett Richards. Next up:Today, 2:35 p.m., at Oakland Athletics. 3. Seattle Mariners (10-11) — The Mariners have been helped in recent weeks with seven games against the Rangers, including the Mariners' sweep in Texas that was completed on Wednesday night. Nelson Cruz is again one of the most feared hitters in the game in his first season in Seattle and has given the M's offense new life to go with their pretty salty pitching rotation. Next up: Today, 7:10 p.m, at Houston Astros. 4. 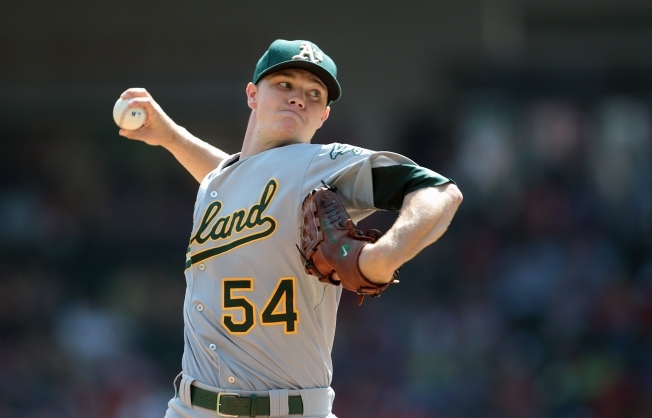 Oakland Athletics (9-13) — The A's have two great starting pitchers in Sonny Gray and Scott Kazmir, but that's really where their bright spots end at this point early in the season. The team has an entirely new look from last year's AL West winners, and so far the new look has yet to take on a winning form. They're just 3-7 in their last 10 games, but now catch a break by heading to Texas. Next up: Today, 2:35 p.m., vs. Los Angeles Angels. 5. Texas Rangers (7-14) — The numbers are excruciating to even look at. Worst OPS since the DH era began. Pretty much the same for team batting average in a month (.211). It's awful. And it's already getting hard to watch before the calendar even hits May. Next up:Friday, 7:05 p.m., vs. Oakland Athletics.